At Gold Painting, Inc., we understand the impact a residential interior or exterior painting project has on your home, your family and your neighborhood. We uphold the highest level of respect for you and your home at all times. We are fully insured and carry full worker’s compensation on all employees, offering you peace of mind and security throughout the painting and home maintenance services process. color/design consultant, Have worked as a decorative painter for over twenty five years painting murals and decorative finishes on walls and furniture. Enjoy the process of working with a client, and making their space a reflection of who they are. 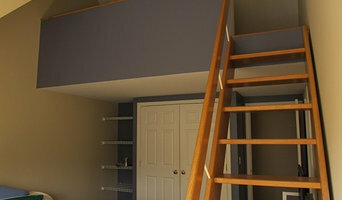 SRF Painting is a full service interior and exterior painting company. Owner Seth Farrell has been in the painting business for 20 years, and his no nonsense approach, meticulous attention to detail and insistence on using only the best materials make SRF Painting a great choice for all of your interior and exterior painting needs! We proudly use Sherwin-Williams products, and we are BBB accredited. With vpdecor you’ll experience hassle-free, efficient projects and a contract agreement that is fulfilled to your satisfaction. I guarantee that from start to finish, the lines of communication will always be open, ensuring that you get exactly what you want. Beginning with the initial consultation, free estimate, follow up calls, and clearly written proposal; we ensure that there will be no unpleasant surprises along the way. My crew is greatly experienced with the preparation, execution, finishing, and clean up processes making sure that every project is of the utmost quality, every time. Since 2002, I have completed hundreds of projects always to the customers' satisfaction. My professionally trained crew is always on time, clean and hard working. Give us the unique opportunity to serve you with your home or business improvement ideas/projects. We know once we have this opportunity you will become part of our firm list of satisfied customers! The North Shore of Massachusetts and Seacoast NH's finest selection of top quality paints and stains including Benjamin Moore and Cabot Stains along with Hunter Douglas window treatments, fine wallpaper coverings, fabric, in house seamstress and more . 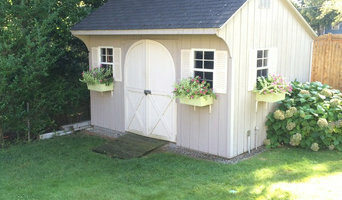 Total Pro Services provides exceptional service to the Metrowest and surrounding areas. Whatever your home improvement needs may be, you can count on our company to leave you satisfied and happy. Customer satisfaction is our top priority. We will earn your trust for a lifetime. We believe in making all clients repeat clients. Need help picking out a color i can help free estimates over the phone or online Kim Davidson Painting, A painting for over twenty years, Kim has a wealth of knowledge and experience in all facets of painting. Kim has also taken many courses on the subject of painting, so she can stay up to date with current trends. Serving the greater Boston area for over 30 years. Powell Painting & Decorating is a full service painting company and it would be our pleasure to serve your future painting or wallpapering needs. Please feel free to brouse the different pages on our web site mousing over and clicking to see some of our recent projects.We will be updating this site from time to time and would like to show the work that we've done for you in the near future. Hope to see you soon. MC Services has been established since 2011 and specializes in painting and repair carpentry for both residential and commercial. Chuck Christian Designs is a full-service residential and commercial painting contractor, proudly serving the Boston metro area for over 30 years. 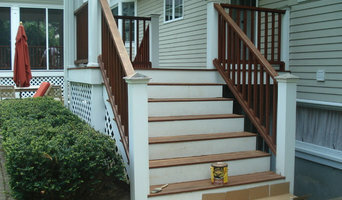 We are not your run of the mill painter, though we are certainly ready for all your interior/exterior projects. 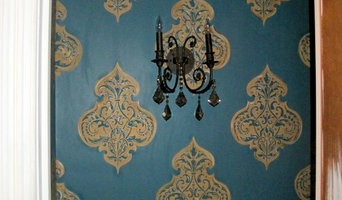 We are one of the area's leading experts in all types of decorative painting. Whether you need a mural for a child's room, or a faux finish to compliment your home, we will work together with you to find the solution right for you and your home. When you choose us, you’re getting a contractor that puts quality and customer service first, with extra precautions taken to protect your property. Our professional staff will properly prepare surfaces, cover and protect the areas not being painted, thoroughly clean up each day and apply paint according to the best industry standards. We offer top-quality work with a high end finish. Our rates are competitive and our customers appreciate our punctuality, efficiency and integrity. You'll find the owner on every job site, so you can rely on us to deliver personal attention and care, insuring high quality results beyond your every expectation. Established in 1998, we are professional painting contractor company handling small and large industrial/commercial painting and residential painting projects. We paint large deck ceilings in factories and warehouses. We are continually developing new processes and testing new products to serve you better and more efficiently. Our team is skilled and experienced professional painters and project managers, including specialists with knowledge of highly technical painting materials and techniques. Our company is based on the belief that our customers' needs are of the utmost importance. Our entire team is committed to meeting those needs. As a result, a high percentage of our business is from repeat customers and referrals. We have dedicated, Professional Individuals on our Staff, including Licensed and Insured Carpenters and Roofers, who will assess and repair any areas of your Home that might require additional servicing. 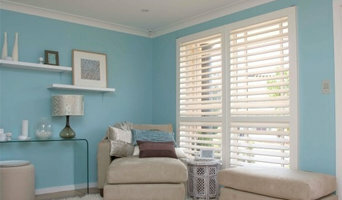 And our Painting Crews are of the highest Professional standard. We would welcome the opportunity to earn your trust and deliver to you Exceptional Quality and Service. I chose to work in this industry because We at Sharpline Painters have a true passion to deliver the highest quality services to our customers.. We describe our business as Family owned and operated. Here is a short list of the most common services we offer. Interior and exterior painting Residential and commercial Power washing Deck and porch staining Cabinet painting Concrete painting Wallpaper removal Carpentry Drywall installation Popcorn or textured ceiling removal And much more!